GSPs are used by some Search and Rescue organisations to locate missing person’s. 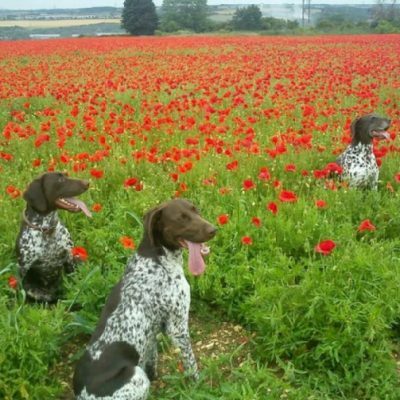 With their keen sense of smell they can be trained to search for missing people and bodies. 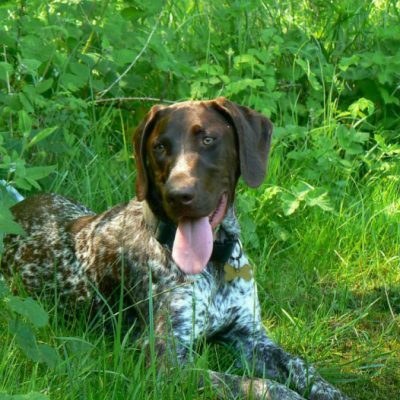 This may be by tracking using a scent article to follow a trail or search for any human scent on open land or woodland. 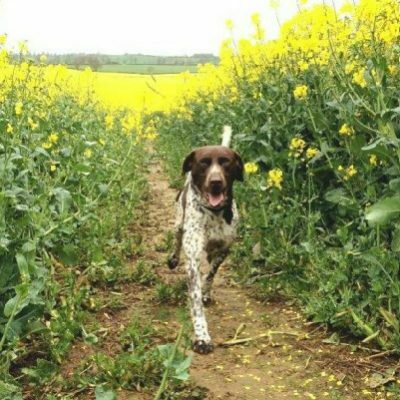 A level 2 dog will search 2 kilometres of a woodland path, searching approximately 30 metres each side of the path in around an hour. As well as the formal training there is the on-going daily training, structured evening training and of course obedience training. 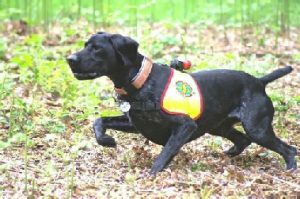 Level 3 search dogs can cover 50 acres of dense woodland in 90 minutes. To be a successful search dog it has to have a very high play drive, lots of stamina and it must be people friendly. Much faster than any human,they also love doing it! 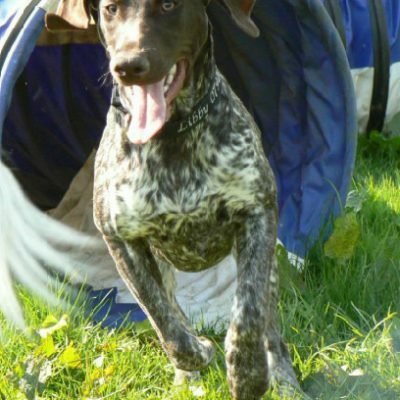 Bella....loving the fun of Agility! Agility training is all about building a bond between you and your dog. It teaches you to use body language to communicate clearly and effectively. 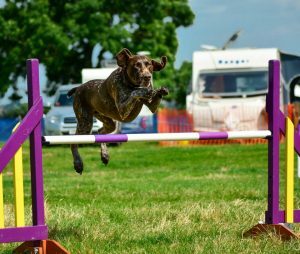 Another benefit of agility is that it provides not just physical exercise but mental but mental stimulation. 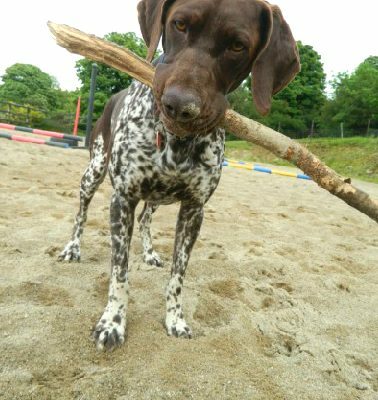 It can help all aspects of training by teaching you and your dog to communicate with each other, gain greater skills, forge a stronger bond, all whilst having fun together. 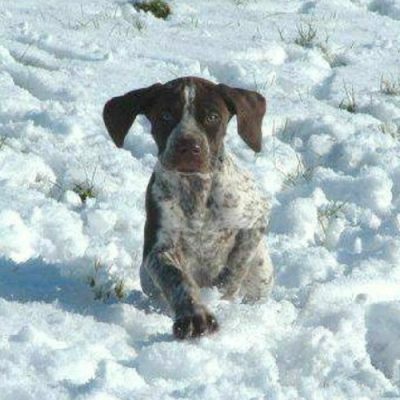 Gsp’s love the mental challenge, they have both the speed and the agility to make awesome agility dogs weather that be in competition or just for fun, it’s something to enjoy together. Riley … racing his way to another medal at Nationals! 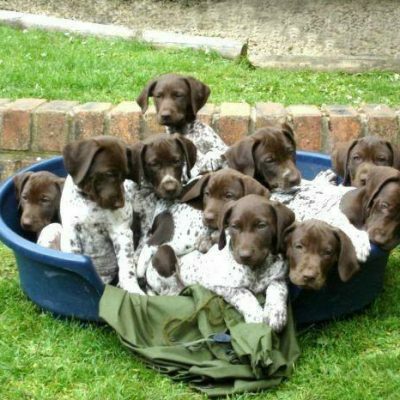 With their trainability, athleticism, work ethic, & enthusiasm, many GSP’s excel in dog powered sports such as canicross, bikejor, & dryland mushing. 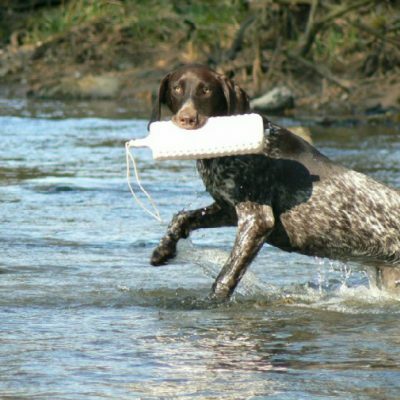 We often successfully rehome our dogs to active homes where they enjoy participating in these canisports. This can help create a better bond between dog & owner while working as a team, can alleviate socialization & behavioral issues (especially those relating to lack of exercise or stimulation) & help teach dogs to listen as they are given directional commands. 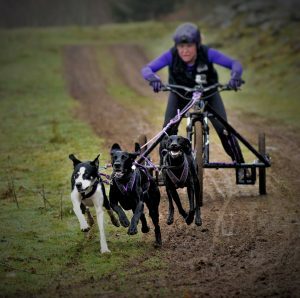 The dogs absolutely love it, be it just being given the chance to enjoy the physical & mental stimulation, or the whole atmosphere of running competitively (up to World Championship level). 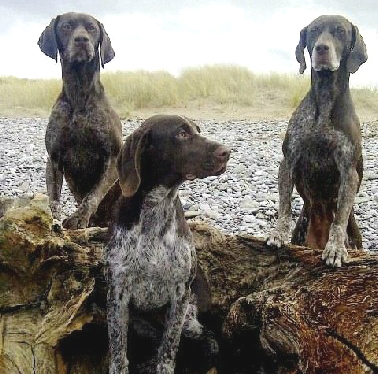 The photo opposite shows GSP Rescue Services Riley (far right) competing with his team in the National Championships. 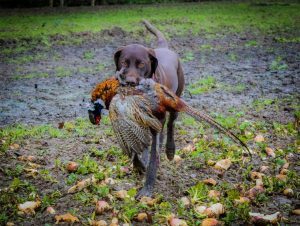 Many of our dogs go to canisports homes up and down the country they thrive on the training programmes and love the competition. 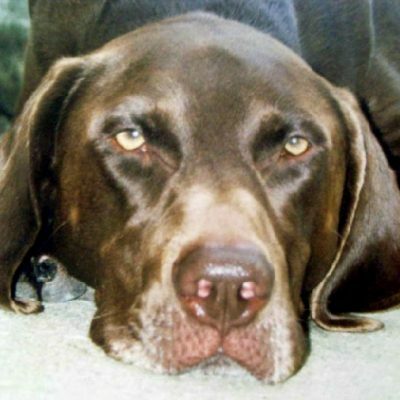 For many of these dogs it offers a job to do, something to keep their minds stimulated and their bodies physically active, ultimately leading to happier dogs. 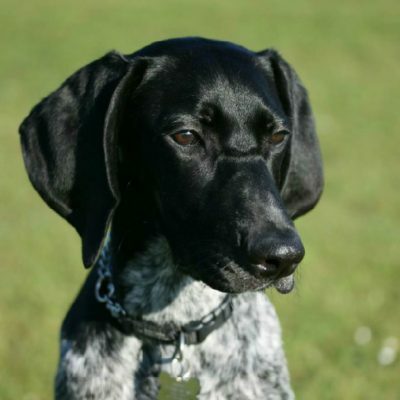 Some of our dogs go to homes in the services weather that be as drug detection dogs, prison service, police dog squads or Fire & Rescue Services. 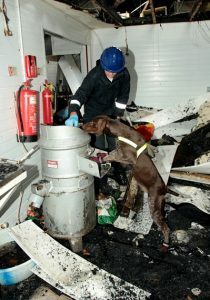 The picture on the right shows Pepper in action searching her way through a disaster site with her West Midlands Fire Service handler. 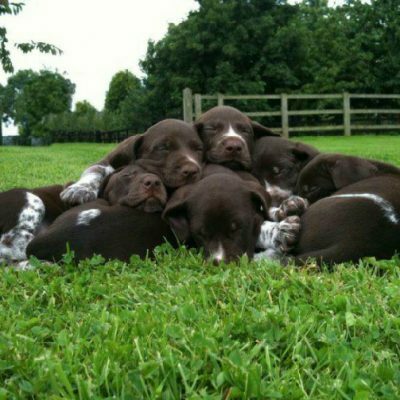 GSP’s help mankind in all sorts of ways. 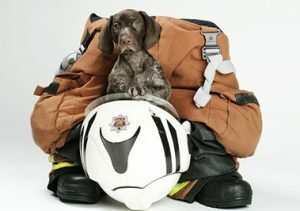 Thank you to West Midlands Fire Service for allowing us to use these image’s.